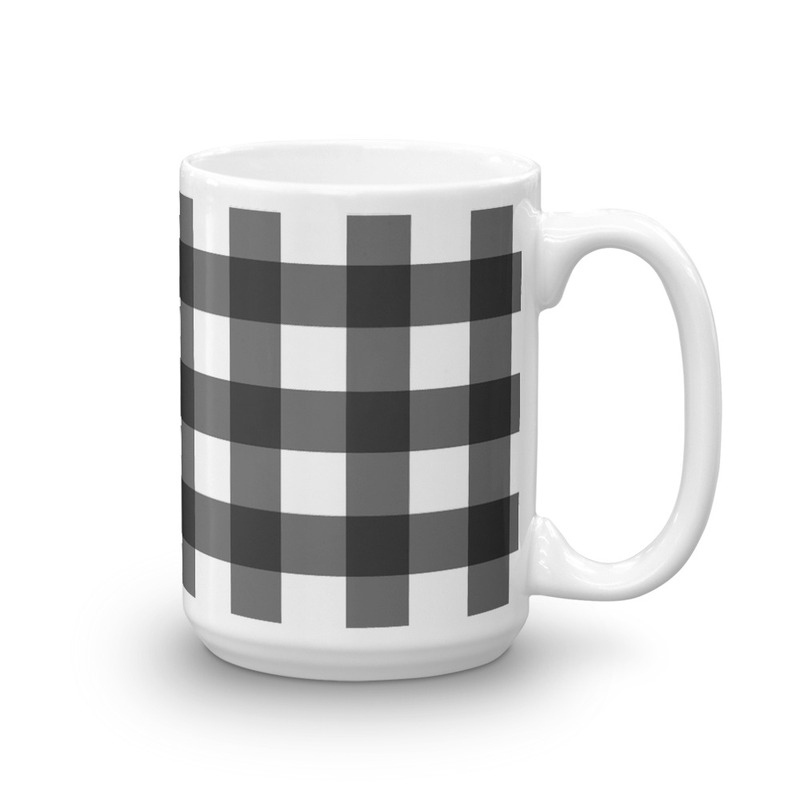 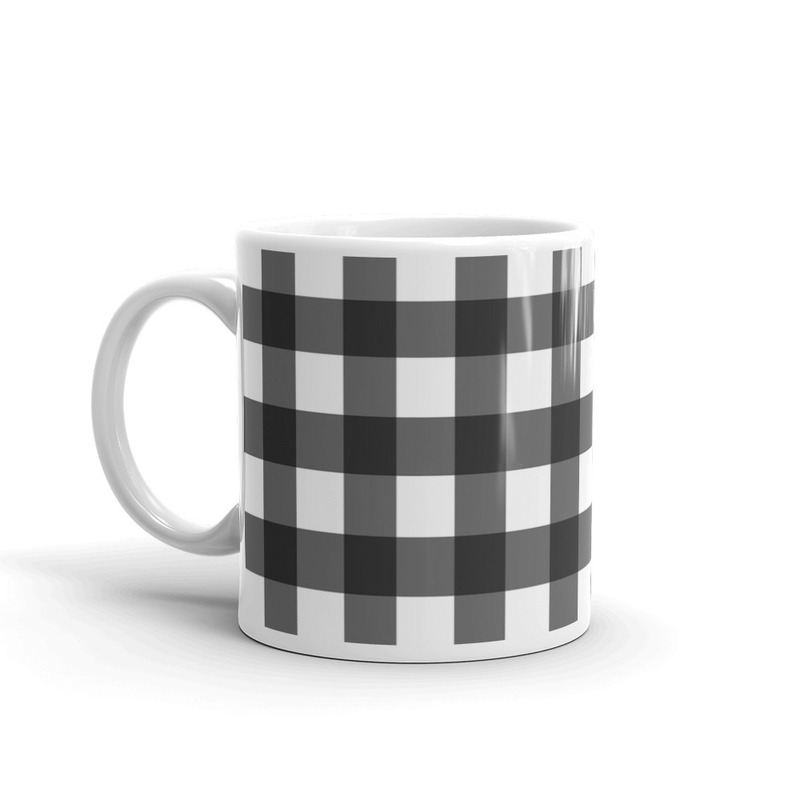 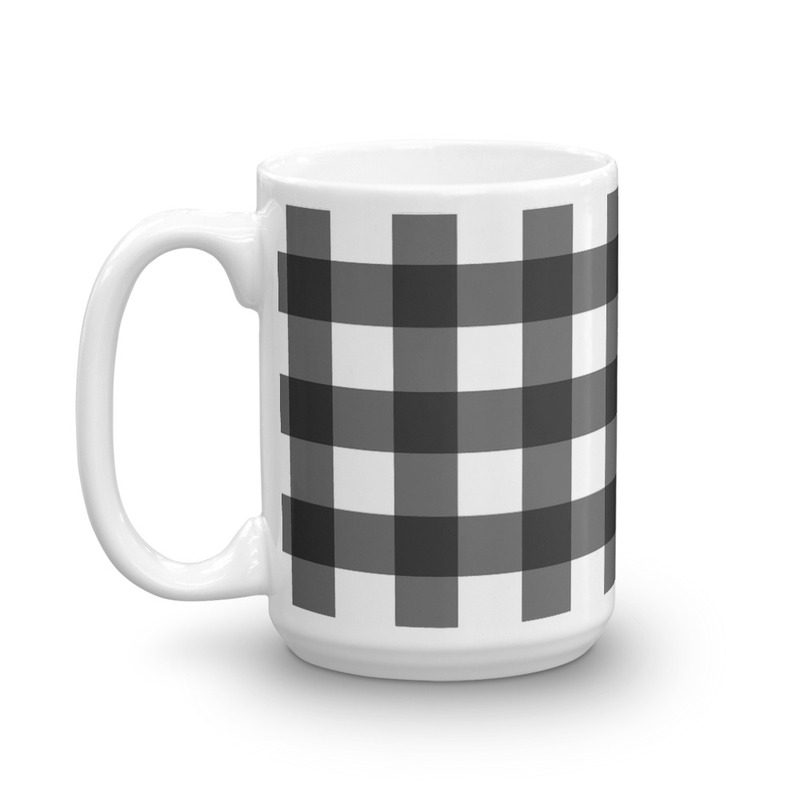 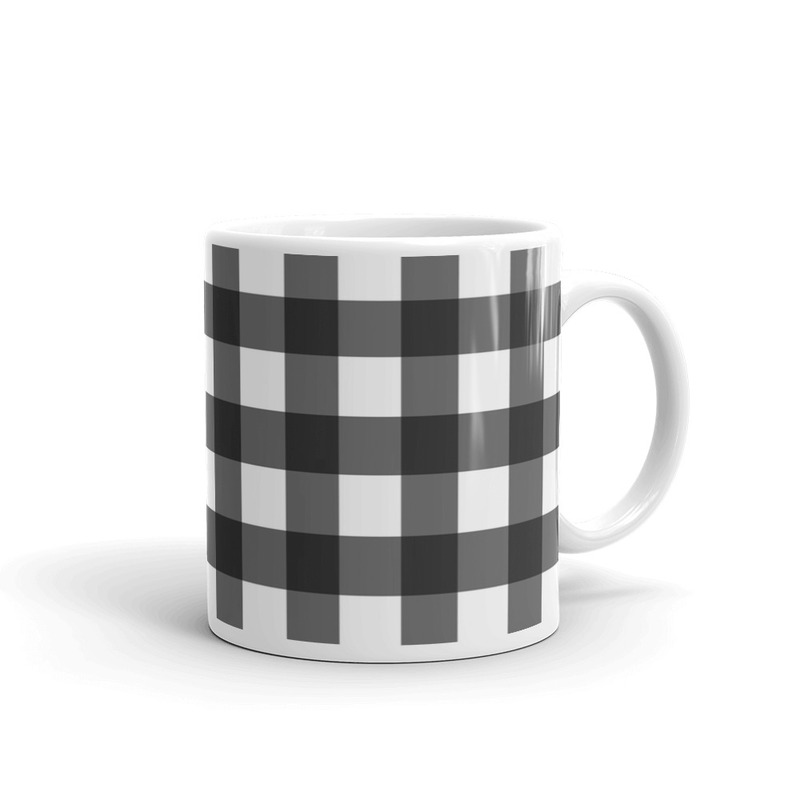 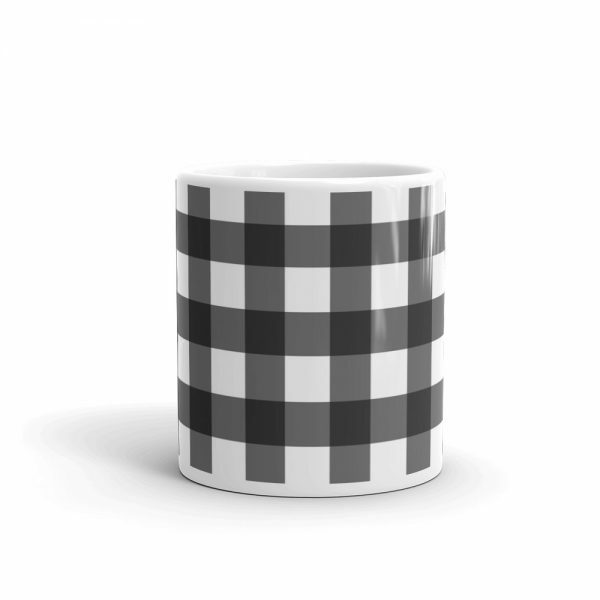 Buffalo check mug — perfect for that rustic kitchen that still has a modern vibe. 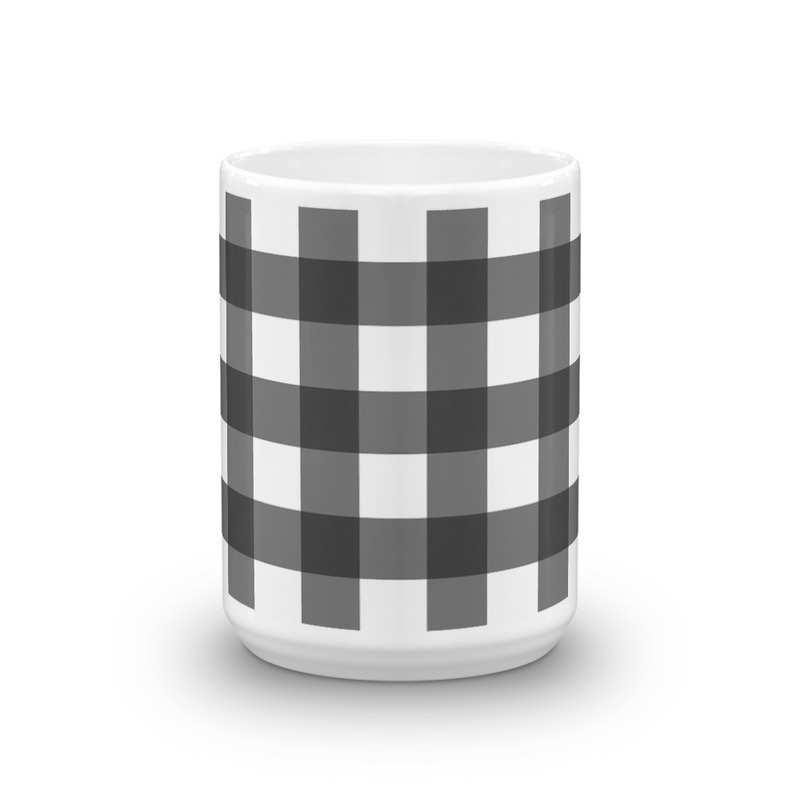 Enjoy your warm drink by the cabin fireplace with this sturdy and glossy ceramic mug. Available in 11 & 15 oz sizes.